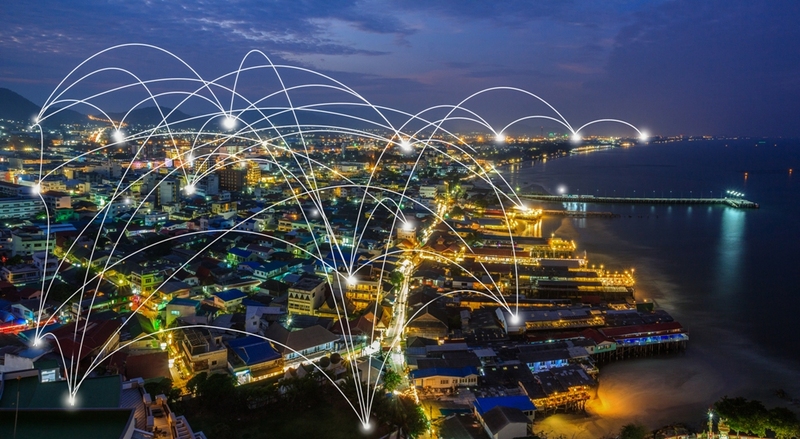 Even as enterprises are increasingly adopting SD-WAN for all the obvious benefits, including simplifying operations and reducing costs, IT leaders are focusing on ensuring their private networks are secure, including those which leverage the Internet to reach locations and devices where private connections are economically infeasible. As enterprises add more and more digital services, whether enhancing point-of-sale systems in retail locations, building and supporting IoT deployments including digital energy meters, or ensuring mobile workers are able to connect to valuable corporate systems, databases and applications, the benefits of an SD-WAN approach are obvious: more productivity, more efficiency, less cost. Given all that, there is no IT decision maker who will opt for any of those benefits if he or she cannot guarantee security, and this is where Software Define Networking (SDN – as opposed to SD-WAN) starts to get interesting. Some argue, however, that SD-WAN is a transitional technology that is successfully weaning enterprises off MPLS to reduce expenses but is not as easy to deploy, manage, or scale. For the Communications Service Providers (who are at risk of their MPLS service line revenues collapsing), SD-WAN simplifies the deployment, delivery, and management of WAN connectivity services, and allows them to capitalize on the opportunity to securely connect multiple applications and multiple clouds. But, as those SD-WAN connections increase, the need for integrated security is mission critical as MPLS private network architectures have been inherently secure. By adding Internet overlay to make private networks more attractive, CSPs realize they must provide for equal or better security measures. While SD-WAN will certainly help, some industry leaders say CSPs need to be thinking long term on their own behalf, and on behalf of the enterprises and businesses they serve. The dramatic growth of SD-WAN solutions, enhancing or completely replacing expensive MPLS networks and complicated, unreliable VPNs, is a leading indicator that enterprises are ready to make the move to new and better technologies to keep their businesses operating globally. With many competitors in the crowded space, including start-ups who have been acquired by giants like Cisco (News - Alert) and VMWare, CSPs who have rolled out SD-WAN offerings need to cut through the fragmentation and pay very close attention to how secure their SD-WAN offerings are, and how security approaches might diminish network response time and resiliency. Wood says the biggest issue, however, is not cost-management, but risk management. Even VoIP networks are being hacked, Wood said, causing havoc in contact center environments, and IoT devices used in Mirai botnet style attacks, where sophisticated hackers use automated bots to find a vulnerability and pivot into the entire corporate network. “Even worse, entire service networks have been brought to a halt as part of ransomware attacks, with major payouts from companies who need to get their businesses back online after cybercriminals seize control of essentially everything from productivity applications to e-commerce sites, hosted real time business applications and more,” according to Wood. Dispersive Networks’ technology has been designed to help CSPs commercialize their investments in Network Function Virtualization (NFV) and, while its platform has powered a number of SD-WAN deployments, Wood said the company’s programmable networking technology, which is cloud- and security-native and purpose-built for mission critical communications, goes beyond SD-WAN’s cobbled together approach. These industries depend on resilient, fast, real time and near real time data exchange, voice, video and messaging and IoT networks that cannot be breached. From a networking perspective, the importance of cloud usage as a driver of WAN technology choice is also growing. Considering that “security requirements related to web and internet applications” and “complexity associated with interconnecting multiple transport types” are the top two WAN challenges in the enterprise, it comes as no surprise that SD-WAN momentum is on the rise. But is SD-WAN, like so many other networking technologies we’ve seen evolve over the last few decades, a bridge not far enough? Time – and experience – will tell. This will be only one of the many topics you’ll have a chance to dig into at SD-WAN Expo 2020, taking place February 12-14, 2020 in Ft. Lauderdale, Florida, part of the #TechSuperShow. Among the areas of focus will be hearing directly from the enterprise users exactly why enterprises are adoption SD-WAN and what their real experiences are.